There are 3 ways to activate the QR code scanner inside Convene. All three require that Session Check-Ins are enabled in the event's configuration. Convene App > Main Menu > QR Scanner button. Create a new Session or modify an existing Session. 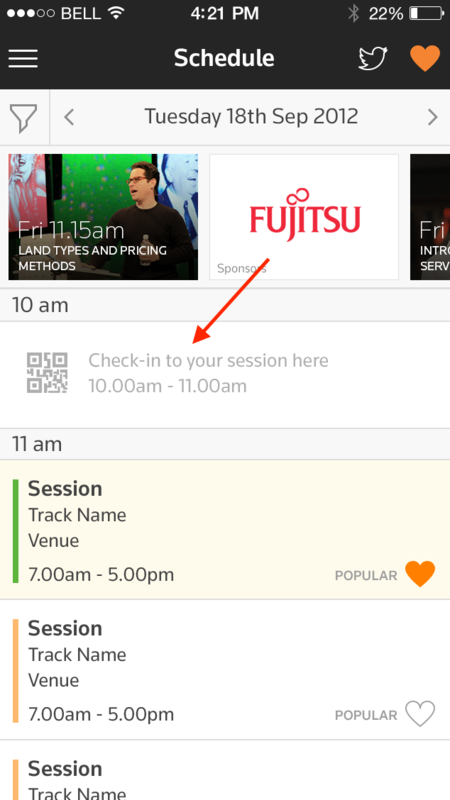 Change the "Session Type" to "QR Scanner"
Set the date/time you want the QR Scanner, as depicted below, to appear in the schedule. Note: We recommend creating 2 of these session types per day. One just before the first session that attendees will scan to check into. One just after the last session that people will scan to check out of. 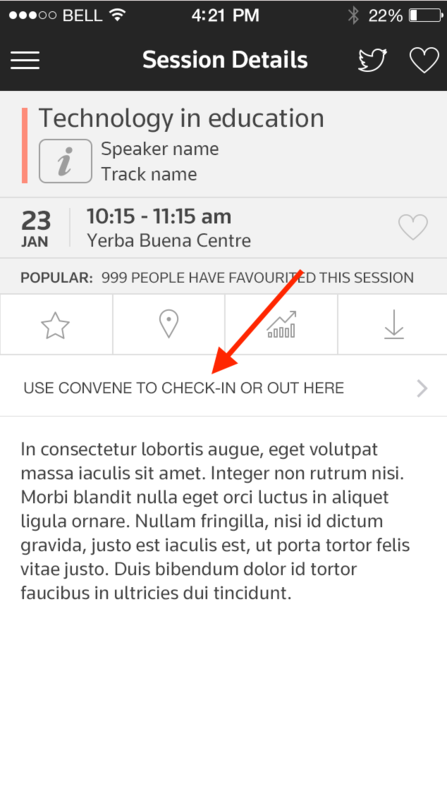 On each session record in the Convene Manager, go to the Session Check-In widget and select wether you want check-in and check-out to be enabled. 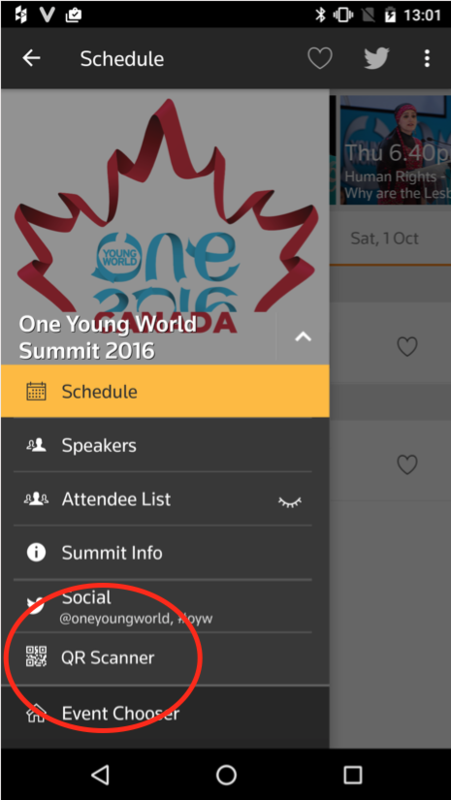 Doing so, will enable the feature in the Convene app for this session.